Cellulose is an unbranched glucose polymer composed of anhydro-D-glucose units linked by 1, 4-b-D-glucoside bonds. These glycosidic bonds can be hydrolysed by cellulolytic enzymes. The native structure of the cellulose is composed of crystalline and less organized amorphous regions. SUKACell-CONC is an enzyme preparation obtained from the submerged fermentation of a high cellulase-producing microbial strain. It is widely used in textile and garment stone wash industries. The 1, 4-b-D-glucosidic linkages in cellulose, lichenin and cereal b-D glucans are hydrolyzed to release free glucose units through the successive action of cellulase enzymes. The less organized amorphous region at the center of the cellulose chain is initially attacked by endoglucanase by random cutting of the b-1, 4 glycosidic linkages within the chain thereby producing cello-oligosaccharides. Cellobiohydrolases I and II act on the cello-oligosaccharides from the reducing end and non-reducing end of the cello-oligosaccharides to release cellobiose. b- glucosidase act on the released cellobiose to produce b–D glucose units. SUKACell-CONC will function from a pH of 4.5 to 6.0 with pH 4.8 as an optimum. It will function from 40°C to 60°C with temperature of 55°C as an optimum. SUKACell-CONC can obviously improve the effect of biofinishing for 100% cotton fabrics, cotton, terylen mixture fabric, both woven and knits, jeans, significantly reduce cottony ball, soften the fabrics and bright the color. Cloth draping property and water absorption are greatly improved. After treatment, jeans feature of clear texture, soft character and old sense. Reduce the dosage of pumice to wash jeans, reducing equipment abrasion and difficulty for wastewater treatment. This product is concentrated product-dilute to use, economical and practical. 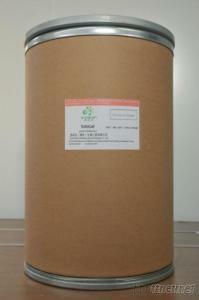 High activity product is available upon request of customers. Reducing sugar method At a pH of 4. 8 and temperature of 50 °C, to produce the amount of reducing sugar equivalent to 1 mg glucose, it needs l g solid enzyme (or 1mL liquid enzyme) and 1 h hydrolyze sodium carboxymethyl cellulose substrate, as 1 enzyme activity unit, state as u/g (or u/mL). CMCA – DNS for short.